Michael D Shumsky | Hyman, Phelps & McNamara, P.C. Mike Shumsky represents pharmaceutical companies in high-stakes regulatory matters and litigation arising under the Hatch-Waxman Act, Biologics Price Competition and Innovation Act, and Orphan Drug Act, and offers strategic counseling to clients regarding lifecycle management initiatives, regulatory affairs, and legislative concerns. He frequently appears in proceedings before the FDA, and has briefed and argued both FDA-related and non-FDA cases throughout the country. Mike also maintains an active appellate practice and regularly appears in cases before the U.S. Supreme Court, including the landmark federal preemption cases PLIVA, Inc. v. Mensing, 564 U.S. 604 (2011), and Mutual Pharm. Co. v. Bartlett, 570 U.S. 472 (2013). Law360 and Super Lawyers each named Mike a “Rising Star,” and his oral advocacy and brief-writing have garnered praise from courts and commentators. See, e.g., Teva Pharms. USA, Inc. v. Sebelius, 595 F.3d 1303, 1310 (D.C. Cir. 2010); ANDA Exclusivity Protected from Patent Delisting Under Appeals Court Ruling, The Pink Sheet, Mar. 8, 2010. 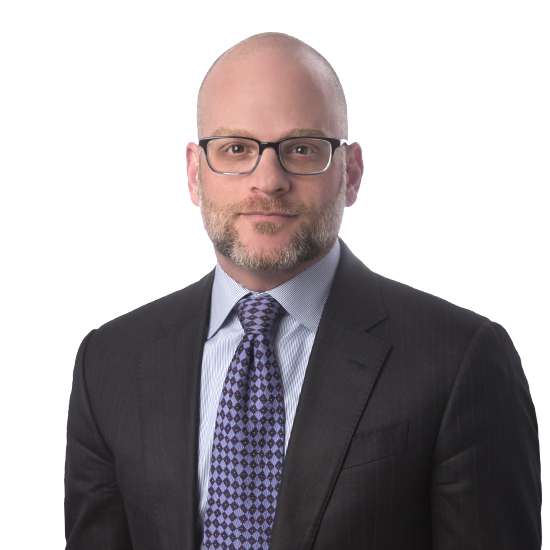 Before joining Hyman, Phelps & McNamara in 2019, Mike was a share partner in the Washington DC office of Kirkland & Ellis LLP, which he joined after clerking for the Hon. Diarmuid F. O’Scannlain on U.S. Court of Appeals for the Ninth Circuit. Mike received his J.D. from Yale Law School, where he served as Book Reviews Editor on the Yale Law Journal and was awarded the Thomas I. Emerson Prize for his article on the Supreme Court’s severability doctrine. Mike earned his A.B. from Harvard College, where he was elected to Phi Beta Kappa. Outside of his day-to-day law practice, Mike serves as an adjunct professor at Columbia Law School and is an active supporter of the Ulman Foundation, a nonprofit that supports young adults impacted by cancer and their families. “Prescription Drug Litigation: Will an FDA Rule Change Drive Up Drug Costs?” — U.S. Chamber Institute for Legal Reform (September 2013). “Making Sense of Federal Preemption” — National Foundation for Judicial Excellence, Ninth Annual Judicial Symposium–From Jurisdiction to Jurisprudence: Emerging Issues in State and Federal Constitutional Law (July 2013). “Litigation Strategies for Securing 180-Day Exclusivity” — American Conference Institute, Paragraph IV Disputes, Second West Coast Edition (December 2011). “Developments in Products Liability: Pharmaceutical Litigation After Mensing” — Law and Economics Center, George Mason University School of Law, Sixth Annual Judicial Symposium on Civil Justice Issues (November 2011). “Emerging Issues Regarding 180-Day Exclusivity” — Food and Drug Law Institute, Brands, Generics and Hatch-Waxman: New Challenges, Unabated Controversy (June 2011).